Florida is in a state of flux. The legislation for the legalization of marijuana – medical or recreational usage – is still decidedly up in the air. 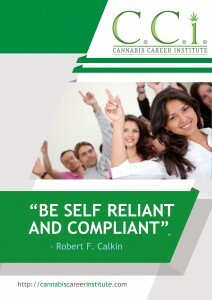 We, at Cannabis Career Institute, understand how the entrepreneurs of the industry must feel. Everything hangs in the balance… and figuring out how to properly get involved in this newest sector of business is difficult, at best. We are bringing business education of the Marijuana Industry and providing details to our attendees how they can create, manage and become successful in this new realm. We understand your questions, fears, desires and we know how difficult finding real, valid information can be. With Masters of the Cannabis Industry as instructors and faculty members, some being highly respected within the world of Marijuana for business success and long term involvement on many levels, we provide attending students the information they need to actually operate successfully in areas where legalization, on any level, has occurred. As the nation’s leaders in Cannabis Business Training, we take our jobs very seriously. We teach students the right way to open a dispensary, the legal information for their particular state – whether it be Florida, California, Arizona or any of the remaining 50 states. We teach them the proper methods on how to create the proper financial flow and how to legally set up the right type of business model – based on the legalities within that state. We’ve had over 2000 students successfully complete our classes and we expect 2014 to carry double or triple that with legalization of Marijuana or Cannabis Products to occur in almost every state. While we understand that most states are choosing to legalize marijuana on the foothold of the tax revenue coming in, we also want members of the public to realize that there are many various reasons marijuana, the plant itself are valuable to the world. We don’t necessarily teach this within our classrooms, but to prospective students, media or other individuals reading this, we would like to express that the Marijuana plant is an amazing thing, in and of itself. It has potential for the agricultural industry, the construction industry, textiles, paper, medicine, food source – and it is a sustainable crop that can benefit the world. We highly suggest that individuals take the time to look at the potential benefits of the plant itself – understanding that while we do not teach politics in our classrooms, we do want our students to be aware that each of our professors or instructors have studied, in depth – the full value of Cannabis – and we’ve been involved in the industry for a very long time. Our faculty members teach business. We understand the industry as a complete picture and we understand business. If you’re interested in opening up a medical marijuana dispensary in your state, then we’re the right people to come and see. We assist with Business planning, understanding how state law works, understanding how the industry itself works – and we help you understand what it takes to get from point a – to point b. We teach grow master information so that you can learn how to open a grow operation within the legalities of your state – or if you have the potential for an edibles operation, we can show you how to get started. Our students are happy – and we’re stoked! See you in Jacksonville, Florida this March 8, 2014!